AVTA will be adding two electric buses to its fleet thanks to a $1.9 million grant approved by the Los Angeles County Board of Supervisors. 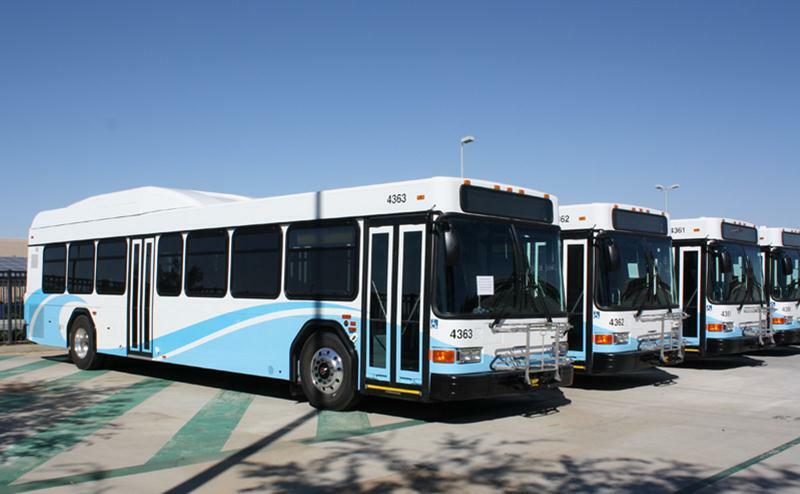 Antelope Valley – The Los Angeles County Board of Supervisors on Oct. 8 voted to provide $1.9 million to the Antelope Valley Transit Authority (AVTA) to purchase two electric buses. The grant is coming from Supervisor Antonovich’s Fifth District allocation of Proposition A Local Return funds. A proponent of green technology, AVTA is striving to be a leader in zero emission bus technology. Infrastructure upgrades and an electric bus demonstration project are underway as the first steps toward this goal. The demonstration project will analyze how well electric buses perform on Antelope Valley’s longer than average transit routes during various seasons. The Antelope Valley is the perfect place to evaluate performance in excessive heat, wind, and snow, as well as mild temperatures. The analysis will provide AVTA with information necessary to evaluate the bus’s battery life and determine the feasibility of incorporating more electric buses into the fleet. AVTA staff is evaluating options for funding the incremental cost difference for future electric bus purchases. Fuel savings and a reduction in maintenance costs will partially offset the difference, and AVTA will actively seek discretionary grant opportunities. An en route charging system is being actively explored as well. At their October 22 Board meeting, AVTA authorized staff to hire a Project Engineer and solicit proposals for a federal advocacy firm to help jump-start the electric bus demonstration, support their current Intelligent Transportation System (ITS) project, and kick-off a potential bus rapid transit project. AVTA serves a population of more than 400,000 residents in the cities of Lancaster and Palmdale as well as the unincorporated portions of northern Los Angeles County. Its total service area covers 1,200 square miles and it is bounded by the Kern County line to the north, the San Bernardino County line to the east, the Angeles National Forest to the south, and Interstate 5 to the West. 3 comments for "AVTA secures funding for two electric buses"
You seem to completely avoid mentioning wind power and hydroelectric power. And maybe a lot from solar power. Backfeed from a small array into the grid during the day would completely offset the lower rate nighttime power to charge a bus. Or are you actually smarter then the County of Los Angeles Budgeting Office? What a waste of money. How do you make electric, from coal, Atom, and maybe a little from solar power. Sound like are adding to our bad air. Should be (sounds like we are adding to our bad air, sorry.